While looking for some old photos for Dad’s memory books, I decided I didn’t like the photo albums — they were too big and clunky and the pages were falling out. 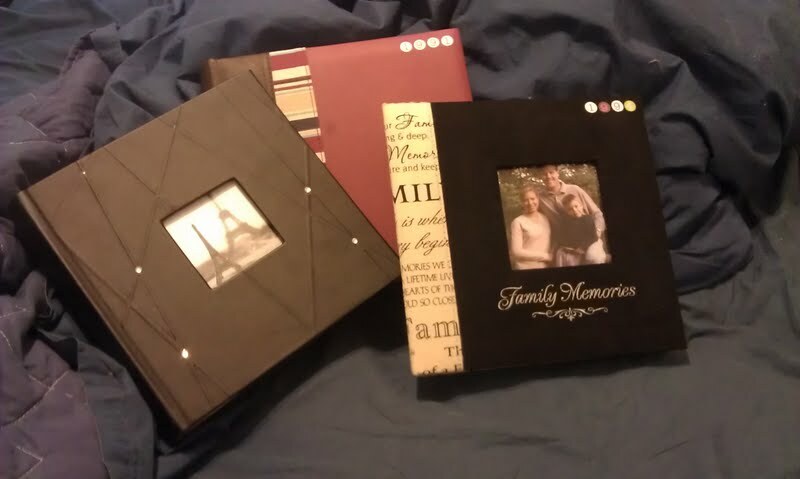 So, I decided to replace them with smaller and better photo albums (pictured above). Remember the cute little 4×6 cards I decorated for memory books for my parents? 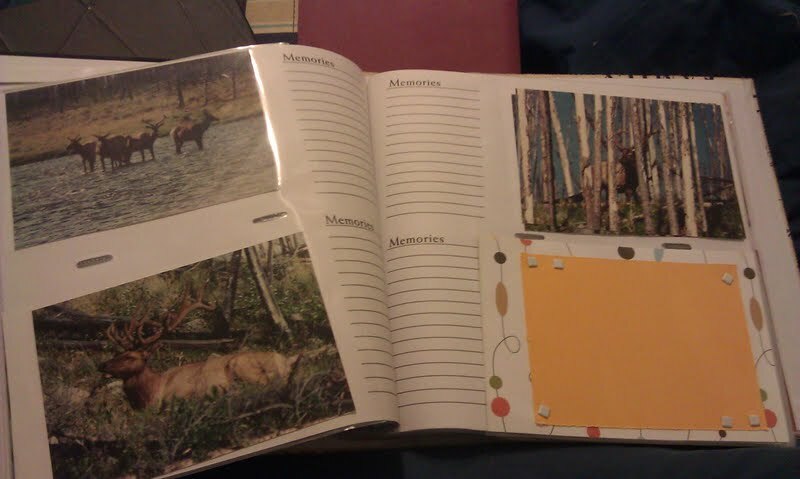 Instead of writing in the margins of the albums (which is always so difficult), I inserted empty cards so people can write their favorite memory or something about the photos. Complete! 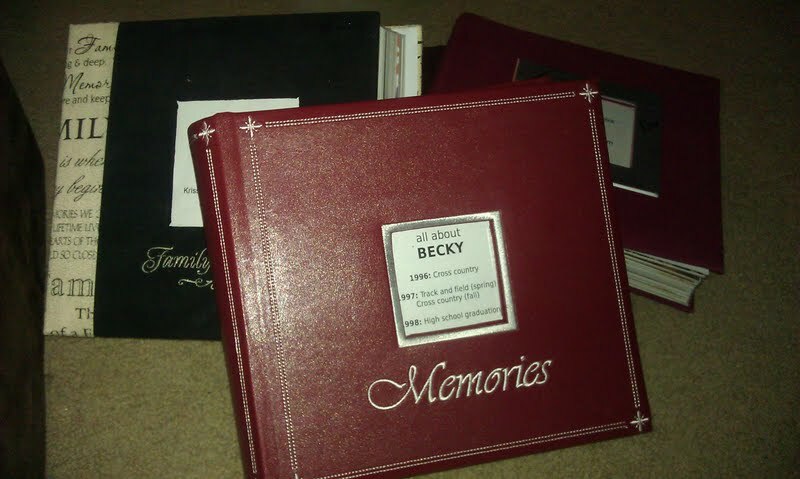 Yes, the top photo album says “all about Becky” because it contains photos of her running on the cross country and track and field teams in high school. The project was a little bigger than I thought, but I am completely happy with the end project.